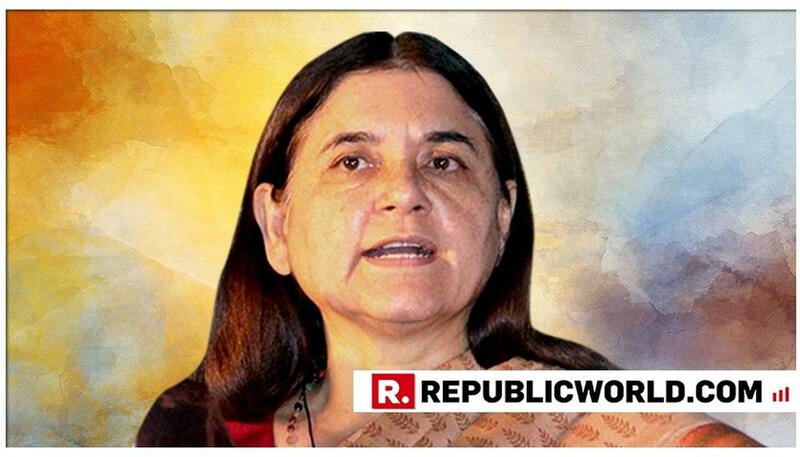 In a contentious communal statement, BJP leader Maneka Gandhi has asked Muslim voters in her constituency of Sultanpur, Uttar Pradesh, to back her in the Lok Sabha elections saying that she won't help them if she doesn't get their support. 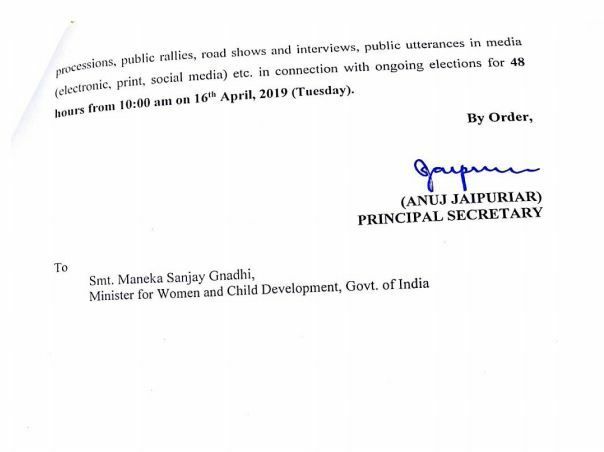 After SP's Azam Khan, BSP supremo Mayawati and chief minister Yogi Adityanath, Election Commission has issued a notice to Union Minister Maneka Gandhi over her polarising speech, imposing a 2-day ban. 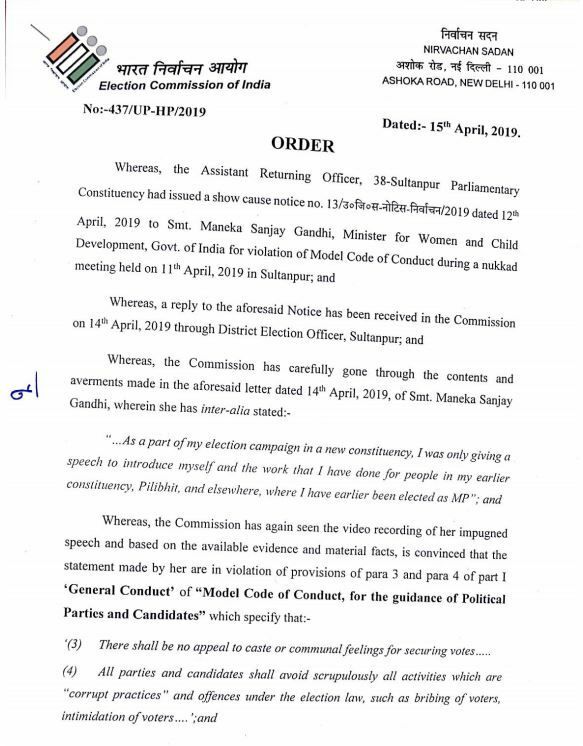 Over the violation of the Model Code of Conduct, the poll body has 'strongly condemned' the Union Minister for her communal statement and under the Article 324 has upheld her powers from holding any public meetings, public processions, public rallies, road shows and interviews, public utterances in the media (electronic, print of social media) for 48 hours from Tuesday 10 am. In a contentious communal statement, BJP leader Maneka Gandhi had asked Muslim voters in her constituency of Sultanpur, Uttar Pradesh, to back her in the Lok Sabha elections saying that she won't help them if she doesn't get their support. Gandhi was speaking on Thursday in her rally when she made the despicable statement. "I am winning for sure but if I win without the support of Muslims then I would feel really bad and when Muslims come to me for work then I feel there is no point of helping them as after all giving employment is a give-and-take and it is not that we are like Mahatma Gandhi as we continue to help them but don't win in the elections. Spread this message everywhere," she said. 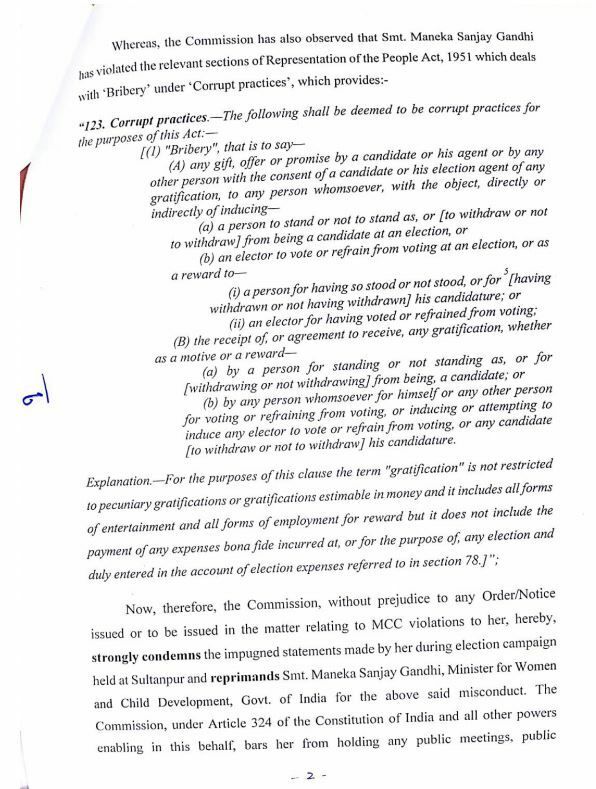 In all, the Election Commission has issued four notices to politicians violating the Model Code of Conduct ahead of the ensuing second phase of Lok Sabha elections.